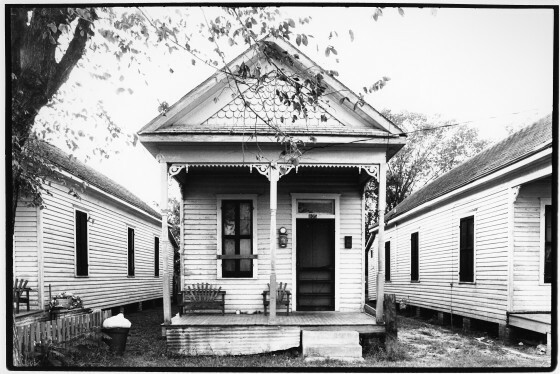 A typical row house in Houston’s 4th Ward, from 1984. Via FPH. I’ve just received the final proof of an article I’ve written where I try to trace the connections between material culture and the environment: Justice and the Cultural Heritage Movement: Using Environmental Justice to Appraise Art and Antiquities Disputes, 20 Va. J. Soc. Pol’y & L. 43 (2012). In the piece I look to some of the writing being done on environmental justice and I think about what lessons we can take as cultural heritage advocates. I examine disputes ranging from looting of antiquities sites to the lack of preservation of certain areas here in Houston like Freedmen’s town. What does justice require? This paper aims to spark a conversation about the role of justice in art and antiquities disputes by introducing the concept of cultural justice. Borrowing from a principle known as environmental justice, cultural justice allows the application of critical scrutiny to the law and norms that govern cultural heritage. The history of environmental justice—including both its successes and failures—offers important lessons for the cultural heritage movement. Environmental and cultural injustice plagues the same nations and groups: Africa, Central and South America, and indigenous groups are denied the same environmental and cultural benefits. The cultural heritage movement has been subject to the same criticisms as the environmental justice movement, but has not had the benefit of an animating theoretical framework. The law strains to resolve art and antiquities disputes. Examining disputes through the lens of cultural justice allows us to move beyond thinking about art in terms of keeping it in museums (or the art trade) or returning it to its nation of origin. This paper applies Rawls’s theory of justice to cultural heritage and presents a taxonomy of cultural justice, examining in detail its distributive, procedural, corrective, and social aspects. Thinking about cultural justice allows a deeper understanding of the reasons why cultural heritage disputes are so difficult to resolve. By considering cultural justice, we can also begin to define the limits of what law and policy can do to remedy historical and contemporary art taking. These limits have eluded cultural heritage advocates, subjecting the cultural heritage movement to broad criticisms. As always, I am very happy to post any link or abstract to anyone’s writing in the cultural heritage field, whether it’s a work in progress or has been published. Just drop me a comment below, or email me at derek.fincham ‘at’ gmail.com. Justice and the Cultural Heritage Movement: Using Environmental Justice to Appraise Art and Antiquities Disputes, 20 Va. J. Soc. Pol’y & L. 43 (2012).